I know it’s still summer but I’m already thinking about boots! These boots though are such a trend that I see people wearing them all the time, even when it’s hot. To me it’s a little hard because when it’s really warm outside I like to have my feet fresh. But as soon as I feel comfortable I definitely start wearing these boots as much as I can. Love wearing them with dresses, shorts, everything! I’m already looking for a couple of new models once my shoe number sells out fast. Take a look! 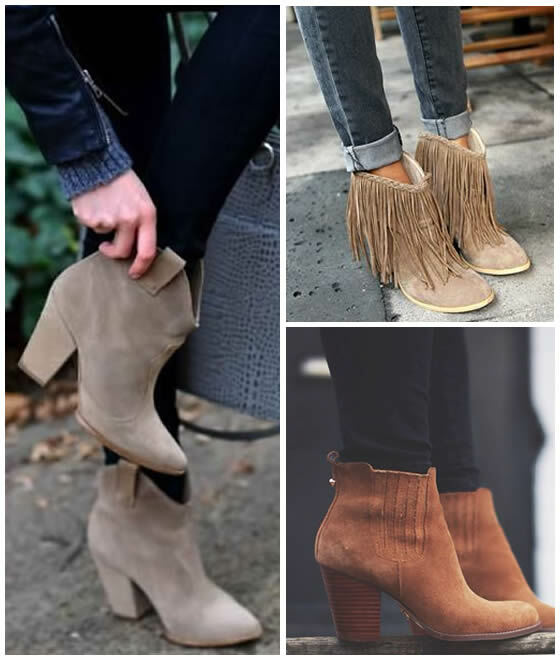 Quantas opções de botas lindas! Amei principalmente as de franja. Adoro ! Principalmente as botas com franjas ! Love it with the Frings! adoro adorooooo <3 e a cor conquistou-me!! eu adoro esse tipo de botas, ainda mais os modelos com franja!